When Walt Disney Pictures released an animated feature film in 2013 that was inspired by the Hans Christian Andersen fairy tale “The Snow Queen”, its reception was beyond anyone’s wildest imagination. Five years later, the popularity of Frozen is as strong as ever and as beautifully choreographed as ever with the latest Disney on Ice production. The theme behind Frozen is similar as other Disney classics – the power of true love. What makes this film unique is the power representing sisters Anna and Elsa’s love instead of a stereotypical love between a princess and a prince. When sharing this story live on ice, the dynamic between the two royal sisters is captured in a new and compelling way. 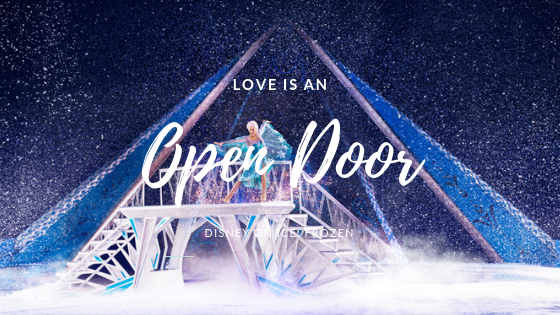 Disney on Ice presents Frozen has everything you love about the film, from Elsa’s ice castle and snow monster to sing-along favorites “Let It Go”, “Do You Want to Build A Snowman?” and “Fixer Upper”. The set design is completely immersive, capturing the smallest elements of Arendelle and bringing them to life. The audience experiences scenes from Elsa’s coronation, Anna and Hans’ emotional scene near the fireplace, Kristoff’s interactions with Sven and so much more in a series of extensive choreography, set design, lighting design and costuming. In addition to everyone’s Frozen favorites, the beginning and end of the show brings out characters from Toy Story, Finding Nemo, The Lion King and beloved princesses Ariel, Cinderella, Snow White and Rapunzel. Mickey, Minnie, Donald and Goofy sport their best winter outfits as they play host for the evening, preparing the crowd for a night of animation brought to life. Disney on Ice continues to bring magic and wonder across the country, and their production of Frozen is no exception. The Academy Award® winning, number one animated feature film of all time is just as mesmerizing on ice as it is on screen, and is a must-see for all who enjoy the happiest place on earth and all that encompasses it.